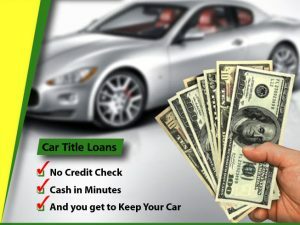 Are usually short-term loans guaranteed by the borrower with the title of the car he owns. The loan borrower must be the owner of the vehicle. These loans come with high-interest rates. Borrowers taking out loans from banks or with credit cards are not title loan customers. The online title loan companies are also called predatory lenders. This has to do with their manner of targeting customers in need of money in emergency situations. Other names for car title loans include a pink slip loan, title pledge or title pawn. The usual loan amount is from 25% to 50% of the vehicle’s value. The amount may vary from $100 to $5,000 or even $10,000. You may also try to negotiate for an extended payment period for your debts before you trade your car title for cash. You may seek advice from a credit counsellor. If you still need a loan, you should consider alternative options of the car title loan as car title loans are usually very expensive. It may also be possible to take out a cash advance on a credit card, but keep in mind they come with higher rates. Always read the terms and conditions and compare them before signing any documents. 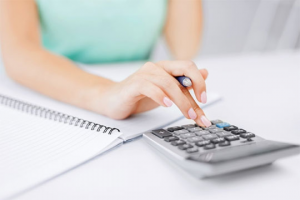 Try to plan a realistic budget that includes your monthly and daily expenditures. Avoid all unnecessary purchases because no matter how small they may be, they all add up in the end. You should try to save small amounts by using small bank deposits because when you have saved some money, you won’t be in need of borrowing when an emergency appears. You should also check if your bank offers overdraft protection on your account. If you often use the money in your bank account and you make a mistake, overdraft protection will prevent additional credit problems. Bear in mind that there are additional fees involved. You should consider other possibilities. After all, there are lots of different lenders out there. Consider banks and the credit unions, but don’t forget your own savings or ask a close friend before taking up easy car title loans. You could also choose the credit card option. The most important thing to do is to compare the costs. You should keep in mind the APR, various fees, repayment period and the consequences of no repayment. If you eventually choose the title loan option, you should always borrow an amount you are able to comfortably return in due time. The federal law in the USA provides special protection for members of the armed forces when it comes to certain loans. For title loans, protective measures include maximum APR that should be no more than 36%. This rate includes most fees and charges. Creditors are obliged to give their military clients certain disclosures about their rights and options as loan customers. If the loan is taken in violation of the law, it is void. The customers might be specifically asked to declare their military affiliation. Nevertheless, title loans are usually expensive, so military customers are advised to search for other resources of financing. There are several options for getting a car title loan. You could borrow it at the lender’s office or get the car title loan online. There are completely online title loans which are fast, easy and you don’t need to go to the loan store to apply for it.You should always have the following documentation: loan application form, car title, and your ID. The loan provider may want a copy of your car keys. Once the car title loan is approved online, your car title remains with the lender and you take the cash. The loan is usually due after a month. You are obliged to repay its full amount plus a fee. You should be aware of the possibility of additional charges and fees. Sometimes you may be asked to buy a vehicle roadside service plan with a cost connected to the loan amount. 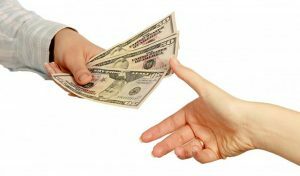 There are usually three different options for repayment. You could repay in person, online or use an automated system. The latter means that you should authorize the loan provider to periodically take certain amounts straight from your bank account. It is impossible for the lender to make these automated repayments unless you personally authorize them to do so. It will be a violation of law if you haven’t been provided with the specific terms of the transaction or a copy of your authorization of the automated repayments. Pre-authorizing of such transactions is also illegal. That depends on the lender. He may start a repossession procedure or he may let you borrow the amount for an additional month. The latter is called a loan roll-over, but it doesn’t come free. This, of course, will have additional charges, fees and a new interest rate on the existing debt. There is always the danger that you may be trapped in a circle of repeatedly rolling over your loan. Eventually, you may be obliged to pay an impossible amount and lose your car. 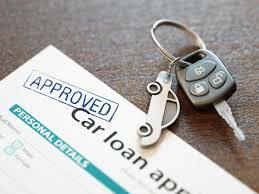 If you are completely unable to repay in due time, the loan lender will start a procedure of repossession of your car. Then he will sell it and keep its proceed. In some states, the lender is obliged to pay you the difference of your debt and the price of the car when the sold price exceeds the debt.